Britain’s Jamie Green took the win at Hockenheim today for Mercedes, with Audi Sport Team Abt Sportsline securing the 2011 team title. Green took the lead from the start – and stayed there, with drivers’ champion Tomczyk slipping into second ahead of pole-sitter Molina, and Rockenfeller in fourth. Gary Paffett came home in fifth for Mercedes, while sixth place and three points was enough for Ekstrom to complete a one-two in the drivers’ standings for Audi. 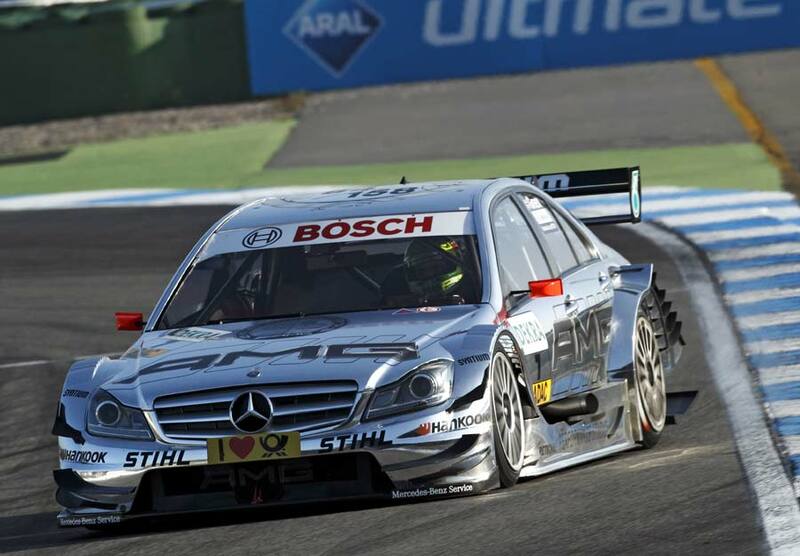 “My car was perfect and I’m so pleased to have won here at Hockenheim for the second time. Now I can start the winter break on a high as a race winner this year,” said a delighted Jamie Green. We look forward to next season and the introduction of new cars from Mercedes-Benz with the C-class Coupé, Audi’s new A5 Coupé and BMW’s return with the M3.